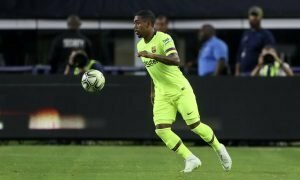 Premier League star refuses to rule-out Arsenal transfer | The Transfer Tavern | Where football transfer rumours fly or die! 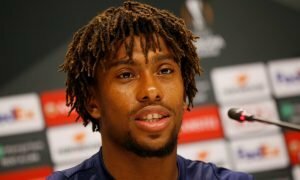 Arsenal fans in the Transfer Tavern were excited to hear that a Premier League star could be open to a north London switch this summer, following the latest comments. Mahrez was awarded PFA Player of the Year for his performances with Leicester this season, who lifted the Premier League crown, and the Algerian has been linked with a host of clubs this summer. However, he insisted he’s happy with the Foxes. 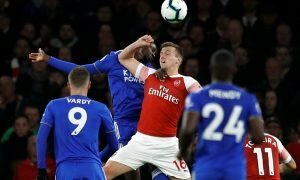 Our landlord isn’t convinced by the player’s comments though and believes the African ace will leave, particularly if Jamie Vardy and N’Golo Kante find themselves on the way out. Would Mahrez be a signing to win Arsenal the Premier League? Let us know in the comments below!